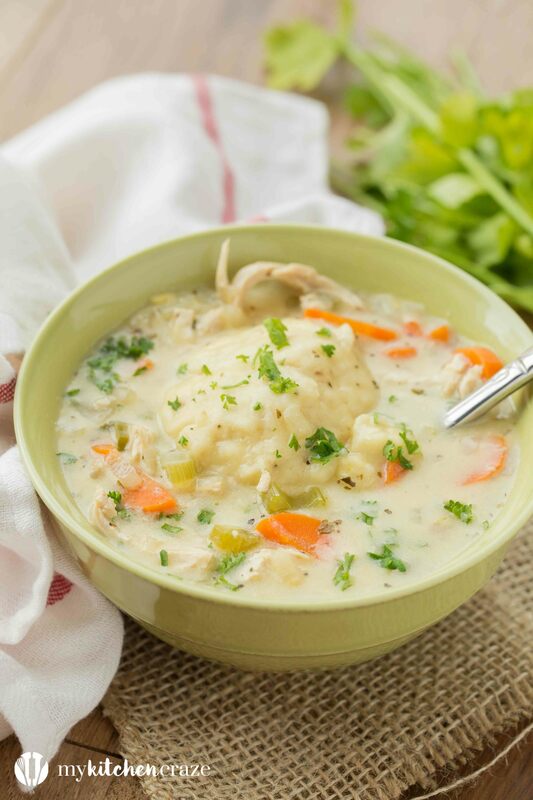 Chicken Dumpling Soup is a traditional comfort soup! Perfect for those cold, chilly days when you need something to warm you up. 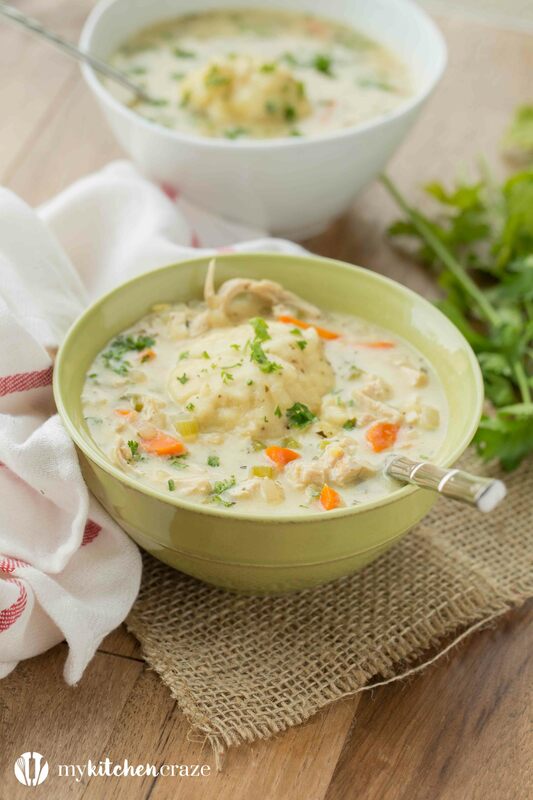 We don’t get a ton of cold days here in Vegas, but when we do, you better believe that I’m whipping up a big bowl of soup and chilly. These past few weeks have been pretty awesome with the weather, so I’ve gotten to have my fill of soups. It’s been nice! I normally tell myself that if the cold weather isn’t coming my way then I need to improvise and bring the cold weather to me. 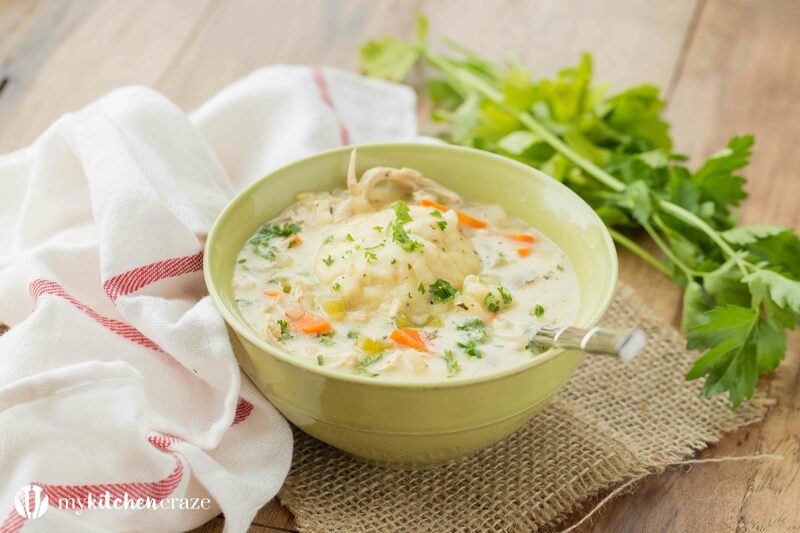 There are days you need some good ole’ comfort food. And soup feels good for the soul during those times. There are times I crank down the a/c just to make it cold enough to have soup. I first had this soup when I was at a family friends house in Idyllwild for Christmas Eve. 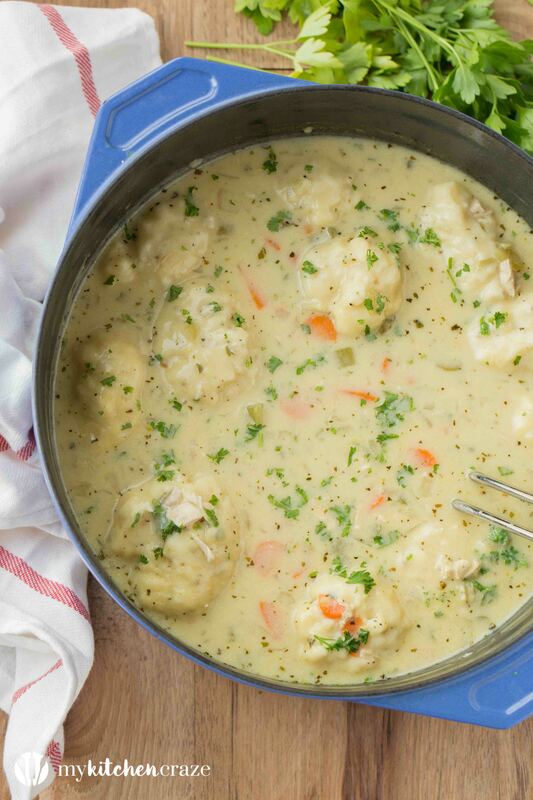 I didn’t think I was going to like it at first because I’m a pretty picky eater and dumplings sounded odd. But I gotta say this was the yummiest soup ever! 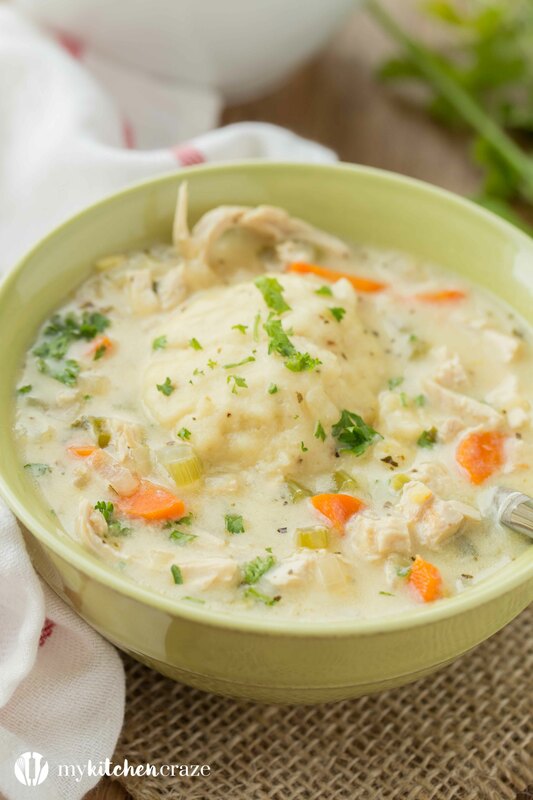 We had spent the day playing in the snow and when it was time to come inside, their was a fire going and my mom’s friend, Kandie served us Chicken Dumpling Soup with a side of bread. I was in heaven! It was the perfect food for that day! You can add your own chicken to this or if your like me get a rotisserie chicken at the grocery store. Add some veggies and the dumplings. Oh yum! Also a little secret I have is I always try to make my soups ahead of time. In my opinion the longer they sit and simmer the better they taste. So if your back east and in a foot (or more) of snow. 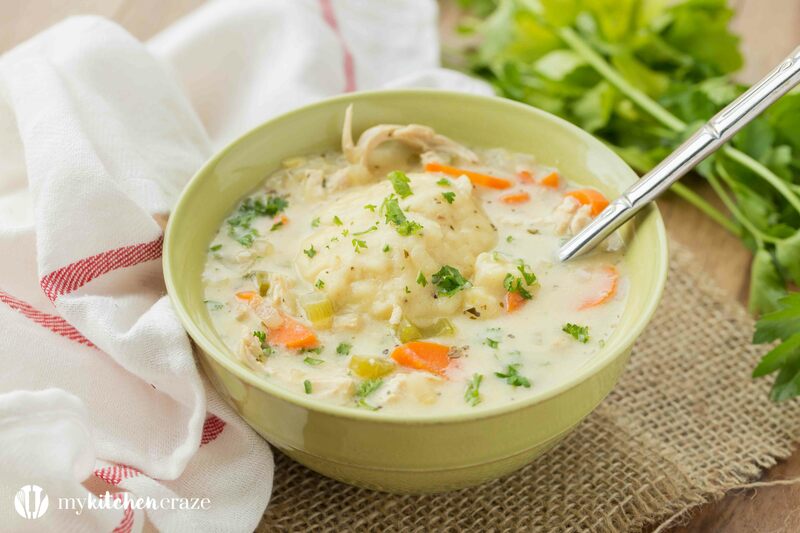 Or if your like me, in lightly chilly weather but need some comfort food, this soup is the best to accomplish that! I hope you all enjoy it as much as I do. 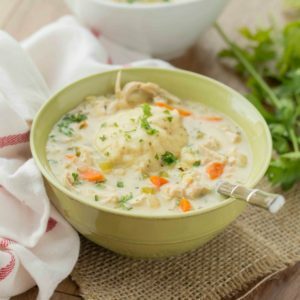 In a large saucepan or Dutch oven, stir together cream of chicken, cream of celery, chicken broth, and milk. Bring to a simmer over medium heat. Heat oil in skillet over medium-high heat. Add onion, celery, carrots and sauté until just softened. Add garlic, ginger and cook another 30 seconds. Add shredded chicken and mix well. Transfer chicken mixture to the soup pot, and mix well. Add bay leave, basil, parsley, salt & pepper and stir to incorporate all ingredients. Bring to a boil, then reduce heat to low, and simmer for 30-45 minutes. While soup is simmering make the dumplings. In a medium bowl, stir together the flour, baking powder and salt. In another small bowl, mix together the milk and canola oil. Pour into the dry ingredients, stirring just until moistened. 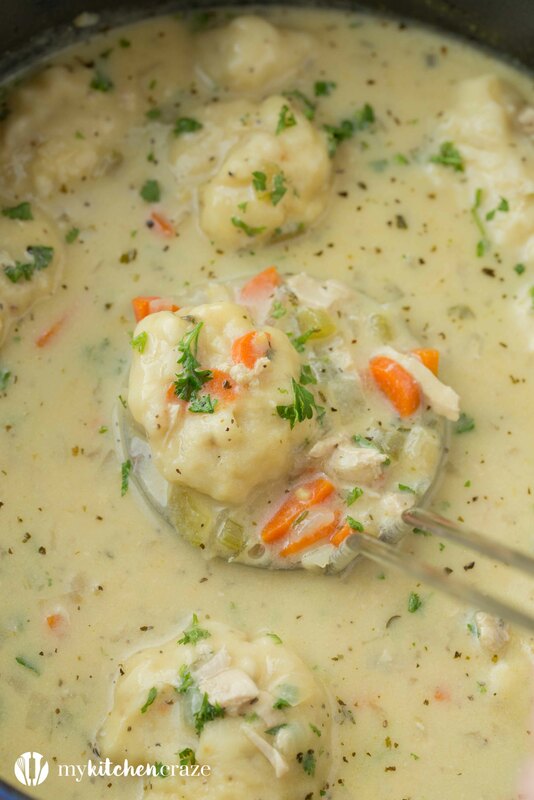 Drop tablespoons of the dumplings mixture into simmering stew. Cover pot tightly, and bring to a boil. Reduce heat to a simmer for about 12 to 15 minutes (You can flip over half way through if you'd like).